Intelligence, Surveillance, and Reconnaissance (ISR) is a crucial application area for hyperspectral imaging, and Headwall is there with instruments to meet every challenge…from airborne to ground-based and handheld. Headwall meets all three by using the science of diffractive optics in every sensor it builds. Diffractive optics delivers precision, but it also means fewer moving parts. This helps optimize size, weight, and power (SWaP), which is particularly critical for airborne applications where payload restrictions exist. 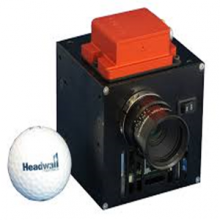 There are three main areas where Headwall’s sensors are commonly used for defense and security applications. The first is airborne, often involving high- and mid-altitude aircraft, where a wide field-of-view with outstanding spectral fidelity can deliver situational advantage. The second area is tactical, where sensors placed aboard small UAVs and UGVs can deliver instantaneous hyperspectral information as a means of achieving specific mission objectives. The key here is minimized sensor size and weight to meet payload restrictions. The third area is ground-based, where sensors placed aboard masts or vehicles can survey terrain for anything that matches the chemical or biological spectral signatures loaded into each instrument. Headwall’s innovative solutions, available in pan-and-tilt or point-and-stare configurations, help keep our valuable troops and assets safer than ever. 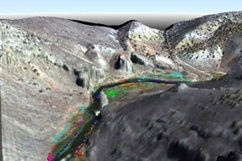 In the area of handheld hyperspectral sensors, Headwall produced the Hyperspec RECON in 2012. This portable and simple-to-use hyperspectral sensor—winner of the 2012 R&D 100 Award—operates in the 380-1000nm VNIR spectral range and can render a 6” square hyperspectral scene at a distance of 1 Km.